I hear about people’s aches and pains all the time, whether in the hospital, the gym, or even in social situations. Sometimes pain represents a serious, potentially life-threatening problem, while other times it’s a more mild, nagging ache for no apparent reason. Either situation can be frustrating and debilitating. 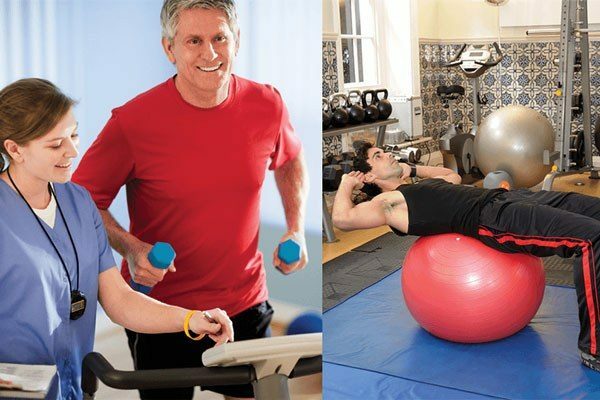 The most common types of pain that I see in the outpatient setting and in the gym are of the musculoskeletal variety: primarily low back pain and joint pain. I discussed low back pain in some detail in a previous article on this site titled “Aches and Pains”; today, we’ll delve into joint pain – more specifically, the topic of arthritis. Recall that the force produced by muscular contraction serves to operate our skeleton, allowing us to move and interact with our environment. The joints between these bony levers are fundamental to skeletal function; without them, we wouldn’t be able to move at all. In fact, we specifically describe each muscle’s function in terms of its action on a particular joint: elbow flexion, shoulder extension, hip abduction, etc. In other words, functioning joints are essential to human movement. Given how essential joints are, they can take quite a beating over the course of a lifetime. By the time middle and older age roll around, joints commonly feel achy, stiff, and creaky, with the knees being especially common problem areas. Let’s therefore start with a basic discussion of skeletal joint structure and function using the knee as an example of a typical synovial joint. 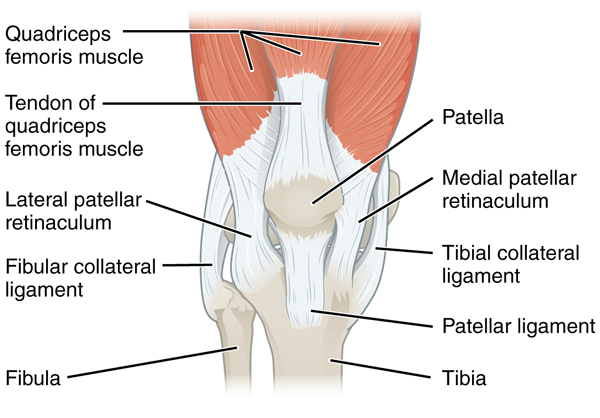 The knee joins the thigh with the lower leg and consists of two main articulations: the tibiofemoral joint (between femur and tibia) and the patellofemoral joint (between the patella and femur). The superior tibiofibular joint (between tibia and fibula) lies adjacent to the knee on the lateral side. The knee is considered to be a “modified” hinge joint, permitting flexion, extension, and a slight amount of rotation while in the flexed position. 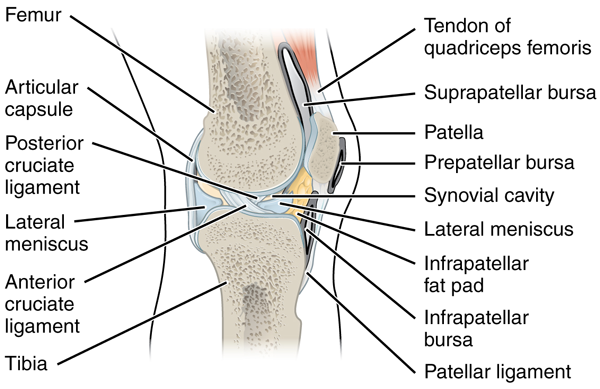 The patella serves as a “shim” underneath the quadriceps tendon that improves the quadriceps’ angle of insertion onto the tibia, thereby increasing the force and efficiency of knee extension. The abutting ends of the femur and tibia are each “capped” with a smooth layer of hyaline cartilage to allow for joint gliding with minimal bony friction. Hyaline cartilage is an avascular and aneural tissue (i.e., no blood or nerve supply) that is highly resistant to compression. It is synthesized by indwelling cells called chondrocytes and consists of a tightly woven matrix of type II collagen and chondroitin sulfate. This hyaline cartilage matrix exists in a dynamic equilibrium of synthesis and breakdown depending on cytokines and growth factors in the local environment. For example, highly inflammatory cytokines like Interleukin-1 and -6 (IL-1, IL-6) and Tumor Necrosis Factor alpha (TNFα) suppress matrix synthesis, shifting the overall balance towards cartilage degradation. In contrast, Insulin-like Growth Factor 1 (IGF-1) and Transforming Growth Factor beta (TGF-β) stimulate anabolic processes in chondrocytes, tilting the balance in the other direction. The knee enjoys an extensive amount of support from approximately fifteen different muscles and their bridging tendons, as well as numerous bursae that serve to stabilize and cushion the joint during motion. The medial and lateral menisci are cartilaginous pads that separate the distal end of the femur from the proximal end of the tibia. They serve to improve force distribution and reduce friction between the bones during movement. The menisci are made of tough fibrocartilage, containing more type I collagen than the articular hyaline cartilage discussed above. An extensive set of intra- and extracapsular ligaments provide additional passive stabilization, including the well-known anterior cruciate ligament (ACL). These ligaments – as well as their neighboring skin, muscle, and tendon – are innervated with sensory nerve fibers that provide important feedback to the spinal cord and brain regarding joint position, joint forces, and surrounding muscular tension. These structures all serve as joint protectors during movement, and failure of any of these mechanisms increases the risk of joint injury. Finally, the joint is encased in a fibrous articular capsule that is lined by a thin synovial membrane. This membrane produces a sterile fluid composed of hyaluronic acid, lubricin, and several other substances directly filtered from the blood. Synovial fluid serves several functions, including 1) lubrication to reduce joint friction, 2) nutrient delivery to the indwelling chondrocytes, and 3) shock absorption due to its unique properties as a non-Newtonian fluid (similar to a mixture of cornstarch and water). In other words, an acute increase in joint pressure (e.g. when landing from a jump) results in an immediate increase in fluid viscosity (i.e. it becomes “thick”). This transient increase helps absorb and dissipate the additional joint forces, and is followed by a rapid return to normal viscosity and lubricating function. In certain clinical situations, physicians drain synovial fluid out of knees, ankles, or other symptomatic joints to analyze cell counts, chemistries, and microbiology. The results of these studies can help differentiate and rule out a number of different pathologic processes occurring within the joint space. For example, a knee that drains pus with a white blood cell count of over 100,000 cells per microliter is extremely concerning for an acute bacterial joint infection, while more translucent fluid with levels between 2,000 and 75,000 cells per microliter is more consistent with an inflammatory arthritis. Levels below 1,000-2,000 cells are typically considered “noninflammatory,” and levels below 200 cells are generally considered normal. Based on these general laboratory patterns, joint pathologies are divided into “inflammatory” and “non-inflammatory” groups. Conditions that typically produce an inflammatory arthritis include acute gout/pseudogout, rheumatoid arthritis, and the various spondyloarthropathies such as ankylosing spondylitis, psoriatic arthritis, reactive arthritis, and inflammatory bowel disease-associated arthritis. These conditions each require unique management and are usually associated with distinctive signs and symptoms (e.g., severe acute flares, prolonged morning stiffness lasting several hours, other associated autoimmune disease, etc.). They will therefore remain outside the scope of today’s article. Osteoarthritis (OA) is the most common type of arthritis, and is therefore what most people mean when they talk about their “arthritis.” Its prevalence increases dramatically with age, and symptomatic osteoarthritis has become a leading cause of disability among the elderly. Typical manifestations include use-related pain, swelling, tenderness along joint lines, transient stiffness and/or reduced range of motion, crepitus, bony swelling, and joint deformities. It most frequently involves the knees, fingers, wrists, hips, and facet joints of the cervical and lumbar spine, but can affect any joint in the body. Primary osteoarthritis was previously thought to represent simple “wear and tear”-related joint degeneration, and is classically categorized as a non-inflammatory arthritis based on the typical lab findings in joint fluid. For this reason the suffix “-itis,” which implies inflammation, seemed inappropriate and the term osteoarthritis was considered a misnomer. But we now know that despite the lack of apparent cellular inflammation in the joint fluid (i.e., relatively low white blood cell concentration), both local and systemic inflammation at the molecular level plays a crucial role in the pathogenesis of osteoarthritis. The biomechanical factors that were traditionally thought to cause osteoarthritis through chronic, direct “wear and tear” are becoming more controversial as well. It is now thought that these factors contribute to osteoarthritis by promoting the expression of inflammatory cytokines, which subsequently trigger production of catabolic enzymes that degrade the cartilage matrix. The extremely limited regenerative capacity of cartilage (mainly due to its lack of blood supply) allows this process to accelerate, ultimately resulting in chondrocyte death – which limits regeneration even further. As disease progresses, bony thickening underneath the articular cartilage (subchondral sclerosis) occurs, and osteophytes (bone spurs) form along joint margins. The local inflammatory environment also involves the synovial membrane (synovitis), which can contribute to swelling, pain, and further disease progression. The articular capsule thickens and stretches, and various other tissues both inside (e.g., menisci) and outside (e.g., muscles, nerves) the joint can be affected as well. Impairment of these joint protectors (e.g., meniscial injury, muscular weakness, or neuropathy) can result in altered loading patterns, predisposing the joint to further injury and the progression of disease. Figure 3. Normal radiograph of the left knee. Figure 4. 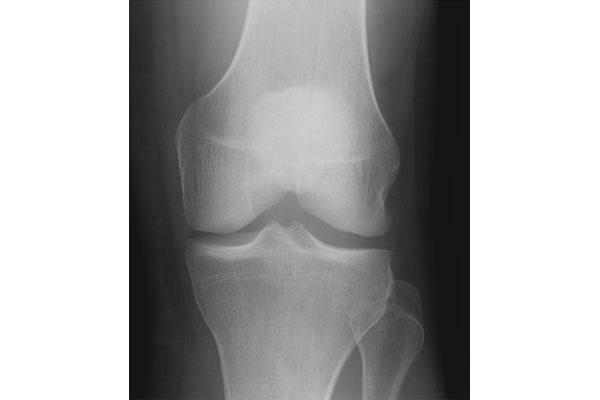 Radiograph of the left knee showing advanced degenerative disease, joint space narrowing, and osteophyte formation. Based on these findings, the severity of radiographic osteoarthritis is “graded” from 0 to 4 depending on progressive development of joint-space narrowing, subchondral sclerosis, and osteophyte formation. It should be noted, however, that X-ray appearance correlates very poorly with clinical symptoms or functional limitation. This should sound very familiar from our previous discussion of imaging in the setting of chronic low back pain. X-rays may show changes of severe osteoarthritis in a patient without pain, but may also appear entirely normal in the setting of early disease. This leads to silly (and potentially harmful) exclamations by physicians like “Wow, these X-rays show you have the knees/spine/hips of a 90-year old!” Although arthritic joints can certainly hurt, pain is complex and is primarily mediated by the brain, so the actual conditions inside your joints probably matter much less than you or your doctors think. For this reason, the clinical severity of osteoarthritis (versus strictly “radiographic” severity) is often graded using the WOMAC index, a validated questionnaire that takes into account pain, stiffness, and functional limitation due to osteoarthritis. This is then combined with radiographic appearance to generate an overall impression of disease severity. Age is well known to be the most potent risk factor for the development of osteoarthritis. Age-related changes include thinning, reduced hydration, and calcification of the hyaline cartilage matrix that alter its biomechanical properties, leaving it increasingly susceptible to injury and degeneration. Other factors include oxidative stress, cellular senescence, and reduced responsiveness of chondrocytes to the aforementioned anabolic/anti-inflammatory stimuli such as IGF-1 and TGF-β, among many others. However, it is important to be clear that simple age-related changes are not the same as osteoarthritis, and therefore not everyone develops symptomatic osteoarthritis as they age. As with most conditions, there are some known genetic (and likely epigenetic) predispositions, with stronger correlations noted for osteoarthritis of the hands and hips. Interestingly, females are at 2-3 times higher risk than males for developing osteoarthritis of the hands and knees. There have been various hypotheses put forth, including possible genetic and hormonal influences, but the cause for this predisposition remains unclear. Acute traumatic injury or any failure of the joint protectors all promote degeneration of the involved joint. This includes bony, musculotendinous, ligamentous, or meniscial injury, muscular weakness, or neuropathy (e.g., in diabetics). Similarly, other chronic structural and biomechanical factors such as genu varus (“bow-legged”) and genu valgus (“knock-knees”) increase the risk of developing osteoarthritis. Given this understanding of risk factors and pathophysiology, how do we deal with osteoarthritis? Because we are still unable to effectively reverse the disease process, the usual treatment approach involves managing the predominant symptoms – especially pain. Ideally, this is done in order to facilitate continued physical activity to prevent deconditioning and frailty, but both physicians and patients alike commonly neglect this important consideration. And if you’ll recall from our last article, treating chronic pain can be particularly challenging, especially in a highly sensitized individual. Medications can be useful to mitigate the pain of osteoarthritis, and there are a number of choices available. Acetaminophen is a typical starting recommendation for mild osteoarthritis. Unfortunately, the data on acetaminophen show very poor efficacy for treating osteoarthritic pain, but the low risk and benign side effect profile of the medication at recommended doses make it a common starting choice for patients with mild symptoms. Oral non-steroidal anti-inflammatories (NSAIDs) such as Ibuprofen, Naproxen, Diclofenac, and Meloxicam are more effective than acetaminophen for osteoarthritis pain, but their higher risk and side effect profile make them less than ideal for older individuals and those with cardiovascular, kidney, or gastrointestinal disease. Topical creams and ointment medications might be preferable in the setting of pain limited to one or two joints, as these can be directed to a particular joint with far less risk of systemic side effects. These include topical Capsaicin, which works by desensitizing and depleting sensory nerve fibers, and topical NSAIDs such as Diclofenac gel. Although they can be tried anywhere, topicals seem to work best at joints located directly under the skin (e.g., the knee) rather than those buried deep under layers of muscle (e.g., shoulder or hip). For continued osteoarthritis symptoms despite these standard therapies, physicians offer joint injections, usually with a mixture of a corticosteroid (e.g., triamcinolone) and a local anesthetic (e.g., lidocaine), given up to once per joint every 3-4 months. Given the known inflammatory environment in osteoarthritis, there is a biologically plausible mechanism for benefit from a potent anti-inflammatory corticosteroid. Furthermore, this is a straightforward and fairly low-risk procedure when performed by a trained individual. Unfortunately the current data show that corticosteroid injections result in only moderate improvement in pain compared to placebo for up to 1 to 2 weeks after treatment, particularly with higher doses of steroids. There has been no consistently detected benefit of these injections beyond 2 weeks for pain or physical function, and there is no apparent effect on the progression of osteoarthritis. Of course, if the pain is not responsive to any of these interventions, the initial diagnosis should always be reconsidered. For example, knee pain could represent another form of arthritis (such as one of the autoimmune-related processes) or a non-“arthritic” process entirely, such as patellofemoral pain syndrome, anserine bursitis, iliotibial band syndrome or other tendinopathy, bony or ligamentous injury, osteonecrosis, referred hip pain, or even a bone tumor. If all medical therapy fails, the usual next step involves referral to an orthopedic surgeon. There are a number of surgical interventions available, with the goals of surgery including a reduction in pain and disability in order to improve quality of life. 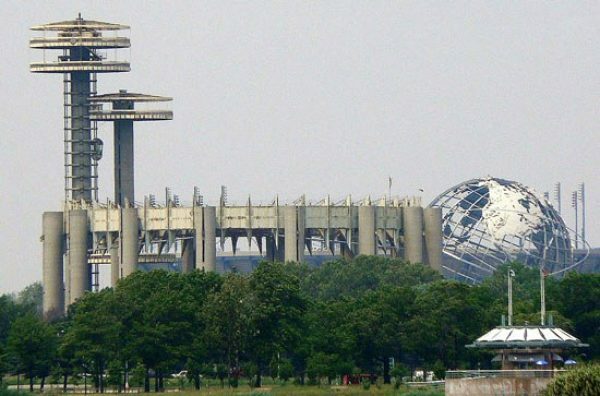 While a number of interventions previously had a plausible mechanism of benefit, more recent controlled research has given us a better idea of what works and what doesn’t. As we discuss these interventions, keep in mind the complex, multifactorial nature of pain that isn’t always explained by purely structural causes amenable to surgical intervention. Joint irrigation (or lavage) involves thoroughly rinsing the joint space out with fluid, theoretically to flush out irritant debris and inflammatory cytokines. Not surprisingly, it has shown no benefit for pain reduction or joint function and is therefore not recommended. Similarly, the vast majority of arthroscopic interventions are useless for knee osteoarthritis. Surgeons still commonly offer arthroscopic debridement for osteoarthritis, which involves “cleaning out” the joint space and trimming down rough areas of cartilage, including degenerative meniscial tears if present. We now have an extensive amount of well-controlled data showing these procedures to have no benefit for pain or function outcomes when compared to “sham” surgery and/or physical therapy in patients with osteoarthritis. In light of the known limitations of strictly structural-based theories of pain (discussed at length in “Aches and Pains”), these data are not particularly shocking. “Dramatic” interventions like surgery, injections, adjustments, and acupuncture tend to have very impressive placebo effects. Total joint replacement (arthroplasty) is the standard treatment for symptomatic osteoarthritis that has not responded adequately to standard medical or physical therapy. Over 95% of total knee replacements are performed for osteoarthritis, and the procedure is known to dramatically reduce disability and improve quality of life in properly selected patients. It also generally results in significant improvement in pain, although approximately 20% of patients experience recurrent or persistent pain in the first year post-operatively. It is also important to note that prosthetic joints have a finite lifetime, based on a number of individual patient factors. Other procedures including osteotomy, microfracture, and several others might be considered in specific situations that are outside the scope of this article. There are a number of other options that seek to address some of the underlying causes of osteoarthritis, rather than to treat pain symptoms alone. Intra-articular injection of hyaluronic acid (commonly known as “viscosupplementation”) is a commonly performed procedure, with over 400,000 Medicare patients receiving an injection in 2012 at a cost of almost $300 million. 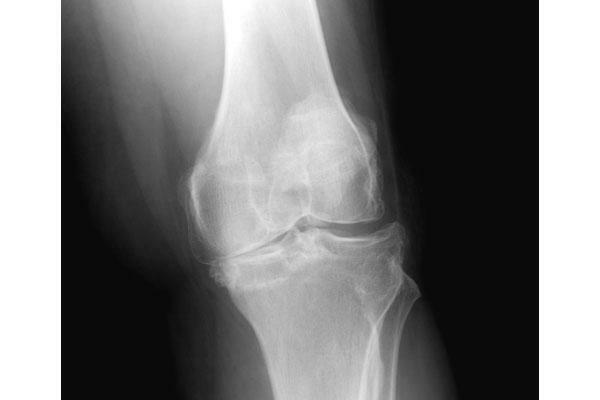 Similar to corticosteroid injections, this therapy also has fairly compelling biological plausibility: normal synovial fluid contains a certain concentration of hyaluronic acid that contributes to its viscosity and lubricating function (together with lubricin), and this concentration is known to be reduced in osteoarthritis. It therefore seems reasonable to administer supplemental hyaluronic acid in arthritic knees to improve biomechanical function – and therefore pain. Unfortunately, exogenous hyaluronic acid is rapidly cleared from the synovial compartment in a matter of hours, and newer synthetic forms still only have a half-life of about 1 day. Additionally, the preponderance of data on viscosupplementation shows that, at best, it has a small to negligible effect on pain that is unlikely to be clinically relevant, and no evidence of functional improvement. There is additional concern over publication bias in the literature suggesting that even this detected benefit is probably an overestimation of true effect. Furthermore, approximately 80% of any detected benefit can be explained by the placebo effect of simply receiving a joint injection – once again, a “dramatic” intervention. Glucosamine and Chondroitin Sulfate are commonly used over-the-counter oral supplements that are marketed heavily towards patients with symptomatic osteoarthritis. Glucosamine is available in several different forms including glucosamine sulfate and glucosamine hydrochloride. In the human body glucosamine serves as a biochemical precursor to several building blocks of hyaline cartilage – hence the argument for potential benefit. The available research on the use of glucosamine sulfate (but not hydrochloride) for symptomatic osteoarthritis has shown some mildly positive, but generally unimpressive results over the past 20 years of study. The research is conflicting and of variable quality, but it seems to suggest that glucosamine might improve pain about as much as acetaminophen (which, as discussed above, is very little). In other words, we are likely to be in a situation of statistical but not clinical significance – of course, the researchers will always suggest that “further research is needed,” while other authors have suggested that if no consistent benefit has been shown over 20+ years of research, it probably isn’t that important. Fortunately, glucosamine is generally safe, relatively inexpensive, and has a low risk of adverse effects when taken at usual doses. As discussed above, chondroitin sulfate is a fundamental building block of hyaline cartilage, and is commonly marketed in conjunction with glucosamine for individuals with osteoarthritis. Overall, the available data show it probably has no significant benefit for symptoms of osteoarthritis, and does not reverse or otherwise alter the course of disease progression. Simple neoprene knee sleeves have been shown to improve pain symptoms in osteoarthritis, possibly to an even greater degree than analgesic medications. This might not be too surprising to seasoned lifters who have been pulling sleeves over achy knees for most of their training careers. While these sleeves do provide warmth and mild compression, further benefit is likely due to improved proprioceptive sense (i.e., restoring a “joint protector” mechanism). However, more rigid braces that physically alter joint alignment and force distribution have shown superior pain reduction compared to knee sleeves as well, although their mechanism may involve supporting/restoring impaired joint protective mechanisms as well. Unfortunately, these interventions also do not appear to affect disease progression either. It should be clear that most of the available medical and surgical interventions are primarily directed at reducing pain related to osteoarthritis. Although the concept of “treating symptoms” is often met with derision, reducing joint pain is essential to the maintenance of functional independence and to prevent progression of comorbid disease (such as obesity, diabetes, cardiovascular disease, depression, etc.) as a result. Additionally, recall that every joint is supported by skeletal muscles and bridging tendons, with approximately fifteen muscles surrounding the knee. While muscular weakness and deconditioning can result from osteoarthritis due to pain and decreased physical activity, muscle weakness also has an established causative role due to the muscles’ important role as active joint protectors. Skeletal muscle weakness is therefore a compelling therapeutic target to simultaneously reduce pain, limit functional decline, and address a known causative factor in the progression of disease. Not surprisingly, the available research on resistance training to improve muscle strength shows clear benefits for pain and functional outcomes among individuals with osteoarthritis. In fact, even people with severe osteoarthritis who are on a joint replacement waiting list can participate in resistance exercise without exacerbating symptoms or experiencing other adverse events. As usual, the published studies are of variable quality, with interventions ranging from Aquatherapy, light Theraband exercise, Tai Chi and “ankle cuffs” to dumbbells and leg presses. Among “true” resistance training studies, prescribed workloads range from 10 sets of 15 repetitions at 10% 1RM to 3 sets of 8 repetitions at 80% 1RM (reportedly). 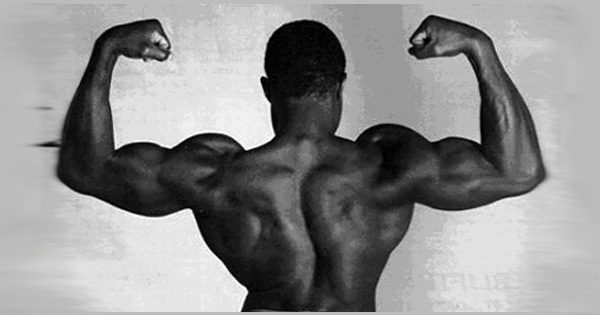 The programs generally incorporate progressive overload and patients do experience variable degrees of benefit – but we aren’t just looking for anything that “works.” Performing 10 sets of 15 repetitions at a very light weight is clearly suboptimal compared to 3 sets of 8 repetitions from a time efficiency and program adherence standpoint, and this is further compounded by results tending to show greater benefits from higher intensity programs. Similarly, while Aquatherapy, aerobic exercise, or Tai Chi might be very enjoyable and relaxing, they simply cannot continually drive strength adaptation – which is our desired outcome – over the long-term. We therefore want to optimize the prescription to provide the greatest benefit for the amount of time invested. For example, it would be preferable to strengthen all of the supporting muscles around the knee in order to maximize the active supporters of the joint. Large, multi-joint, compound movements can get this done very efficiently, while requiring (and therefore improving) balance and proprioception as well. We again return to our standard criteria for efficiency in exercise selection: using the greatest amount of muscle mass over the longest effective range of motion, allowing the use of heavy loads for the maximum strength adaptation. 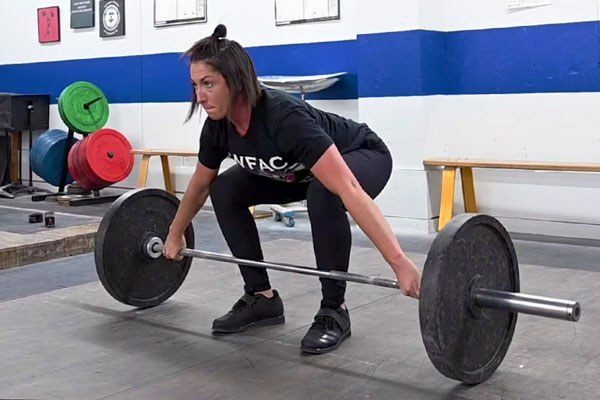 Barbell based movements including the squat, press, deadlift, and bench press simply fit these criteria better than anything else. Interestingly, a number of rehabilitation trials have compared so-called “open-kinetic chain” exercises (e.g., leg extension, leg curl) versus “closed-kinetic chain” exercises (e.g., the squat). In these situations, closed kinetic chain movements result in less stress on the ACL, more rapid improvement and return to activity, and less patellofemoral pain. Although most of these trials have been performed in patients with ACL-deficient knees or after ACL reconstruction, their results are compelling and have been applied in recommendations for resistance training in osteoarthritis as well. 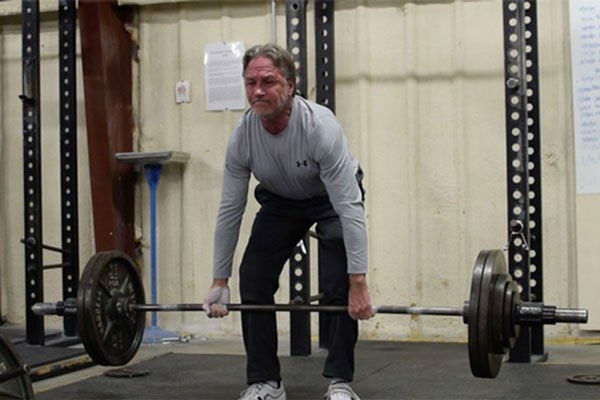 This comports with our experience as strength coaches who frequently work with older populations and apply barbell-based training using “closed-chain” movements. 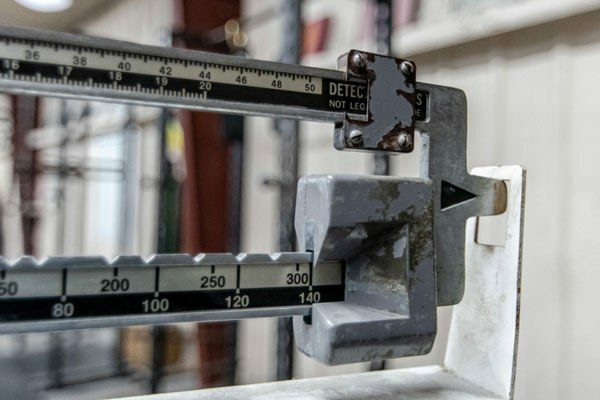 Of course, an initial assessment is needed to evaluate the degree of pain, range of motion, and any functional limitation at rest or with movement, and a gentle titration is needed to find the right starting load since “heavy” is always relative to the individual. This might mean someone starts with a bodyweight box squat or on the empty leg press rather than under a barbell, but the stress-recovery-adaptation cycle will proceed regardless. Transient fluctuations in symptoms should be expected and can be managed using the methods described earlier, such as oral/topical NSAIDs, knee sleeves, or other supportive devices. And while these concepts might terrify your orthopedic surgeon who exclaimed that you’re “bone on bone!” – the evidence is already there, and we apply this method on a routine basis with our trainees seeking to avoid going under the surgeon’s knife, or those needing rehabilitation after coming away from it.